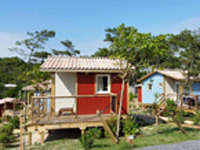 Campsite France Landes : Nombreux commerces dans le camping Saint Martin dans les Landes en Nouvelle-Aquitaine. 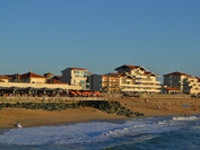 Here on Le Saint Martin campsite, you’ll find a large number of high-quality shops in our two “Espaces Le Saint Martin” shopping areas. Adjoining the reception and overlooking a pleasant square with a children’s’ play area, the “La Cafetière” terrace is the perfect place to relax with a coffee, a cocktail or a tasty snack. The «Campistron et fils, Le Foie Gras Des Landes» delicatessen, whose tasty snacks and delicious Landes-style foie gras are a gourmet’s delight. 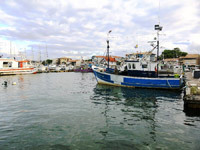 You can also sample a variety of home-made local products. A rotisserie where you can enjoy free-range chicken from the Landes. Bicycle hire in July and August. Out of season, bicycles can be delivered to the campsite.